D'Tigress began their 2018 FIBA Women's World Cup with a defeat to Australia. 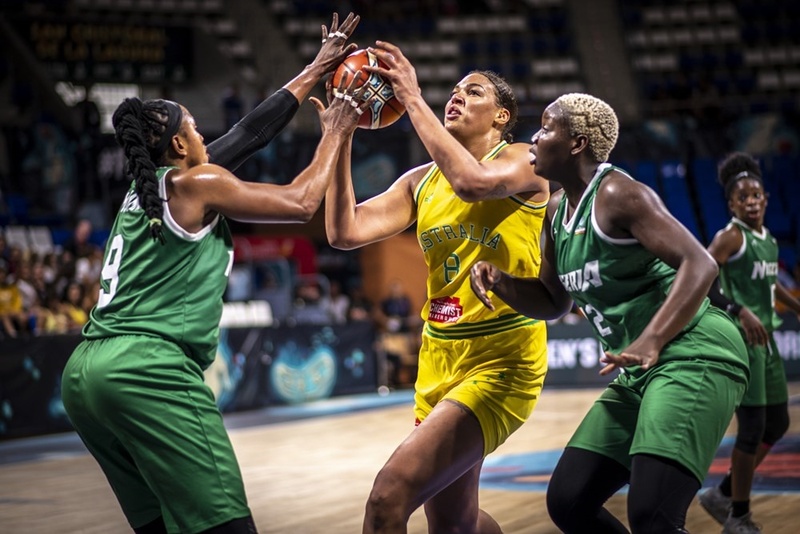 Nigeria’s women basketball team, D’Tigress suffered an 86-68 defeat to Australia in their first game of the FIBA Women’s World Cup in Spain. The tie played at the San Cristobal de la Laguna on Saturday saw Australia took off to a bright start, winning the first quarter 24-17. Nigeria, after losing the second quarter, put up a good fight to win the third quarter 23-21. The Australians doubled their effort in the last quarter and it paid off as they were able beat their African opponent 23-14 to claim victory. The game ended 86-68 in favour of Australia. D’Tigress next play Turkey on Sunday night as they hope to secure their first win in Spain.